This is a memoir—mystical and pragmatic; heartbreaking and redeeming. When Ethel, at age forty, decided to take possession of the name that was on her Hebrew birth certificate, she decided to make a ceremony of it by being baptized at a small storefront Gnostic church in Hollywood, CA. That “little ceremony” pulled her into a transcendent world of early Christian myths and symbols for which she was not prepared. The “dreamtime” that consumed her after baptism became her guidance as her marriage and family crashed and burned. As Hannah, she was drawn up through the church sacraments from a suburban life she’d never wanted to live, through a hermetic initiation, which culminated in ordination to the Gnostic priesthood. This wild mystical journey of initiation through esoteric dimensions radically changed her life and paradoxically gave her a firmer, more authentic ground for living. This book features the eternal person of Jesus Christ, but it is not about Christianity. It features a Gnostic Church and its sacraments but is not about Gnosticism. The person of Mary Magdalene enters the story but it is not about prostitution. It contains hermetic wisdom, but is not about Hermeticism. 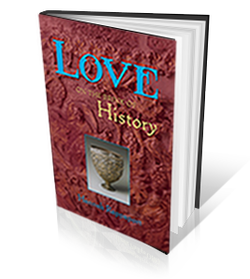 It features ancient religious and mystical texts; however the book is not about the past. This story is about wild spiritual love, love lost, and deep dichotomies that when lightly held by an open heart can nourish authentic life. Throughout my ten year initiation there was a primary voice of certainty within me guiding me through a process of awakening. And though I don’t claim in any manor to be “awakened,” this story is about my eternal longing for that.